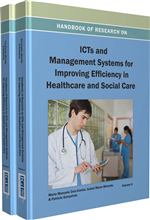 This chapter studies the requirements for a wide range of healthcare information systems, including, but not limited to, clinical pathways management, patient record management, home care management, and medical personnel and resource management. The analysis concentrates on the description and management of medical activities, leaving aside the standard management processes common to all enterprises. It develops a generic architecture for these information systems comprising four central submodels devoted to the description, respectively, of organizational structures, care processes, information, and resources. Each submodel is analysed independently of the others then integrated into a consistent global model. Extensions of this model to other facets of the healthcare information system are discussed and some practical applications are suggested. Many models and standards do exist in the broad domain of healthcare information systems (HIS). Each of these models focuses on one or several particular aspect(s) of the system including the modelling of care guidelines and processes, clinical information, clinical resources and organization, and information/process security. In this section we briefly summarize the major HIS models and standards by identifying their main underlying concepts. EON (Tu & Musen, 2001) is a guideline modelling and execution system that includes an extensible, component-based suite of models to represent parts of a clinical guideline, domain ontologies, a view of patient data, and other entities (e.g., those defining roles in an organization). The guideline model defines guideline knowledge structures such as eligibility criteria, abstraction definitions, guideline algorithm, decision models, and recommended actions. A guideline algorithm consists of a set of scenarios, action steps, decisions, branches, and synchronization nodes that are connected through followed-by relationships. GLIF (Boxwala et al., 2004) is a language for modeling and executing clinical guidelines. In addition to defining an ontology for representing guidelines, it also defines a medical ontology for representing medical data and concepts. The guideline ontology covers several kinds of guideline steps such as Action, Decision, Patient_state, Branch and Synchronization. PRODIGY (Johnson et al., 2000) is a guideline model that was initially designed to support the management of chronic diseases such as asthma, angina or hypertension. According to this model, a guideline is organised as a network of patient scenarios, management decisions and action steps which, in turn, may produce further scenarios. The sequencing of action steps is achieved by followed-by relations. PROforma (Sutton & Fox, 2003) is a guideline representation language supporting the management of medical procedures and decision systems. According to this language, a guideline application is modelled as a set of tasks and data items. The notion of a task is central - the PROforma task model divides generic tasks in four subcategories: plans, decisions, actions and enquiries. GUIDE (Ciccarese, 2004) is a multi-level architecture that integrates (1) a formalized model of the medical knowledge contained in clinical guidelines, (2) a workflow/care process management system and (3) an electronic patient record system. The message-based interaction between the GUIDE subsystems is defined through specific contracts, and relies on common ontologies, terminologies and datatypes. The care process model of GUIDE is based on Petri nets. SAGE (Tu et al., 2007) is a guideline model that integrates guideline-based decision support with care processes. The model includes organizational knowledge to capture workflow information and resources. The guideline-driven processes are modelled by means of Activity Graphs, while Decision Maps are used to represent recommendations involving decisions. SAGE is based on existing standard models and terminologies such as the HL7 Reference Information Model and the SNOMED Clinical Terms. As identified by Peleg et al. (2003), the major differences between the clinical guideline modelling languages reside in the underlying decision models, the representation of goals, the use of scenarios, and the structured medical actions. Information Flow: In a workflow (and particularly in a care path), an information flow is a particular view that focuses on the path followed by information entities. For instance, this view specifies of which processes a document is an input and an output. Information Entity: An information entity is any identifiable piece of information, or of information type that is pertinent in the health care domain. Information entities may range from entire databases to elementary variables in a care path. Care paths activities can examine, create, update and delete information entities. Medical Guideline: A medical guideline is a document describing in a more or less structured way the best practices (reasonings and actions) to diagnose and treat a definite pathology. It can be expressed as an unstructured document or following some standard such as XML GEM (Guideline Elements Model). Medical guidelines can be formalized into care paths. Currently, the border between guidelines and care path is blurred. For instance, GLIF (Guideline Interchange Format) can be processed by the Guideline Execution Engine, that acts as a workflow engine. Care Process: A care process is a significant step in healthcare. It is characterized by its organizational context, its goals, its preconditions, the data it manipulates and the resources it requires. It can be detailed by a care path. Workflow: In the context of a private or public organization, a workflow is the detailed description of the actions and decisions that must (or should) be carried out in order to complete a business process. Usually, a workflow is expressed by a graph depicting the order in which the actions and decisions are to be executed in terms of sequence, alternatives, or iteration for example. A workflow can also specify how information circulated along with the execution flow. Care Path: A care path (or pathway) is the formal definition of the medical and management activities and decision, and organization thereof, intended to carry out a care process in patient healthcare. It appears as a specialized variety of workflow. A care path generally is dedicated to a definite pathology and integrates different dimensions such as organizational context, agents, resources and information. Its main goals are to improve the quality of the healthcare and to optimize resource usage. Care paths are expressed in formal languages so that they can be processed to check their validity or even executed by workflow engines. Resource: A resource is any concrete or abstract good, product, fluid or service that is needed to execute a process. One hour of Pet scan, a drug, a room, a brain surgeon, electrical power, a calendar are some examples of resources required to execute some processes. Organizational Entity: An organizational entity is any observable entity of the context of a process that may have significant relationship with this process (responsible for, performer, provider, host are some example of relationship). In the healthcare domain, a hospital, a hospital facility or department, a medical team, a nurse and event a patient are organizational entities.